The Archbishop of Canterbury has said that churches need to be brave, imaginative and honest in the fight against the spread of HIV and Aids. 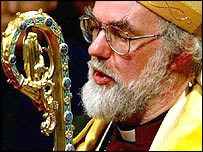 In a message for World Aids Day (Saturday December 2007), issued for the first time as a video available on the internet, Rowan Williams said churches are actively engaged in the global response to HIV and described as 'a scandal' the limited access to drugs and treatment in deprived parts of the world. "It is important that we do not allow ourselves to be paralysed by this challenge; people do not have to die - drugs and treatment are available - the scandal is that access is so often limited and it is hard to see where justice lies in the way resources are sometimes distributed." Governments, he said, needed to be challenged to work effectively with faith-based organisations and he praised projects being run in Africa and elsewhere in which organisations like Tearfund and Christian Aid are using the churches' capacity to raise awareness, challenge stigma, promote education and deliver care to those affected by HIV. But he also called for the church to be honest about its own failures in language and practice in relation to HIV, saying there was no room for complacency. "The churches have not always challenged as they should the stigma that is attached to HIV and Aids in many countries. They have failed to say that those living with HIV and Aids are God's beloved children, with dignity, liberty and freedom. What is owed to them is what is owed to any human being made in God's image, and the more we are trapped by thoughts and images about stigma, the less we shall be able to respond effectively" he said. "Today is world aids day. Over the last two decades a great deal has been done and still is being done to combat the threat posed by HIV Aids. And it's crucially important that Christian people and people of faith everywhere should respond clearly and bravely to what this challenge represents. Over the last twenty years I have encountered HIV and aids in many forms. I've encountered it in the death of a friend; I've encountered it sitting by a lonely bedside in South Wales waiting for someone to die. I think also, though, of a day spent with carers and counsellors and people living with HIV in London, where the courage and the even the joy of the group was very much in evidence. And I think of the wonderful work being done by someone like Gideon Byamugisha in Uganda in his hospice - someone who was courageous enough to be the first priest in the whole of Africa to go public about his experience of living with HIV. Twenty years ago perhaps few of us would have imagined how many of the human race would now be familiar in this way with the problems posed by HIV and Aids, how very near so many people would feel to this threat. But a great deal has been done and still is being done to deal with this and to respond adequately to it. Much of that response throughout the world has been generated by and is being put into action by faith communities including the Christian church. So the churches are out there, already engaging, bravely and imaginatively with this work. But what more might they be doing? What more is there for all of us to do as believers? We can begin by looking at some of the failures in the churches' response, about which we have to be honest. The churches have not always challenged as they should the stigma that is attached to HIV and Aids in many countries. They have failed to say that those living with HIV and Aids are God's beloved children, with dignity, liberty and freedom. What is owed to them is what is owed to any human being made in God's image, and the more we are trapped by thoughts and images about stigma, the less we shall be able to respond effectively. 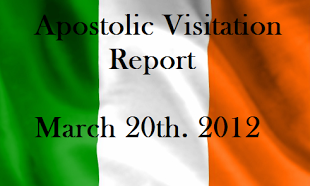 So the church has nothing to be complacent about. We have to acknowledge that there are aspects of our language and our practice that have certainly made the struggle against HIV and Aids any easier. And yet we have the vision, we have the energy, the willingness to play our part in tackling this. In the democratic republic of Congo, the Anglican church is responsible, very much through the agency of the Mothers' Union, in running a very comprehensive service that deals with those suffering or likely to suffer from HIV and Aids. It extends from the care of children in the womb to dealing with women and children who are the subjects of sexual violence and it involves a comprehensive educational programme. It's perhaps in raising awareness in education that the churches' universal reach in African society that is of most importance. Few if any other organisations can come anywhere near that universal capacity. Elsewhere Christian Aid and Tearfund are working with the Anglican Churches in Africa. Tearfund works with nine of the Anglican Provinces on the continent and all of that represents just the small part of the work done worldwide by Christian and other faith organisations. Indeed it's true to say that one fifth of the worldwide provision for education and care in relation to HIV and Aids is provided by faith-based organisations. It's therefore all the more important for government to recognise that this is so and to be able to work more effectively with these agencies. Faith communities are willing to provide help; their hearts are touched, their energies are awakened by the crisis; at the same time in societies that are already suffering from various kinds of deprivation and disadvantage, this places immense burdens on local communities and it's of the greatest importance that they should be given the capacity to make these challenges adequately. Here is a challenge that we must all keep putting before our governments; are they able to work effectively with faith-based agencies in combating HIV and Aids? - the scandal is that access is so often limited and it is hard to see where justice lies in the way resources are sometimes distributed. This too is a moral and a spiritual challenge for the church. It is a spiritual challenge because finally we have to remember that this is not about them and us. Twenty years ago a brave and outspoken Christian commentator observed that 'the body of Christ is HIV positive'. A startling, perhaps a shocking statement, but a reminder that this is not about 'them and us'; the suffering and the privation of any part of the body is everybody's issue and the suffering and privation by extension of any part of the human family is everybody's issue. It is in recognising that that we find our deepest most lasting motivation for responding creatively and lovingly to this challenge.